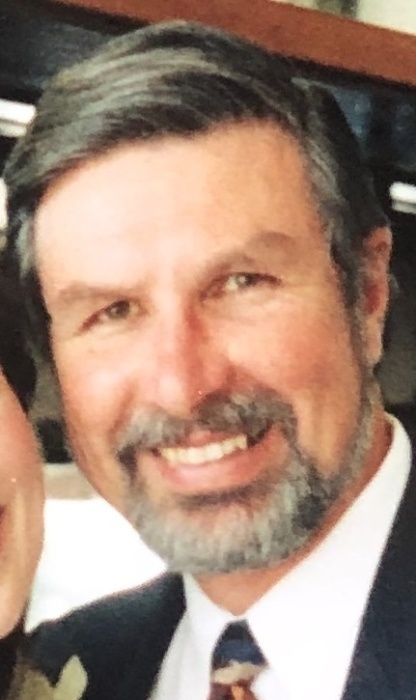 Obituary for Thurman S. Doman Jr. | Allen Brothers Mortuary, Inc.
Lake San Marcos, CA--Ever a soldier, Steve, as he was known, has now laid down his walker and turned it in for a pair of marching boots. He was valiant in his fight with Parkinson's. Steve was born in Chicago, Illinois on January 17, 1941 to Thurman S. Doman and Elizabeth Dorwood Doman. He was preceded in death by his parents and his sister, Gloria Mae Booth. Steve was a retired United States Army Chaplain serving all over the world for almost 30 years, to include Vietnam where he traveled by helicopter ministering to his troops and was known as the " Flying Padre". He had three European tours along with many tours of duty in the United States. He also served as an armour officer for two years before going on to seminary. After retirement he became the volunteer pastor to the seniors and retirees at Ft. Ord, CA and Holland Cruise Line took him on as one of their chaplains for 18 years. Steve was much loved by his family and friends. Steve is survived by his wife and high school sweetheart, Mary Anna of 57 years, beloved daughter Christine Barcus(Bill), beloved daughter Rachelle Nyenhuis(Eric), grandchildren Stephanie Coleman(Jared), Anna Allen(Johnny), Chloe Nyenhuis, Collin Nyenhuis(Elisa), Wesley Barcus, Carston Nyenhuis, Chaylen Nyenhuis and Grace Barcus and great-grandchildren Peyton Coleman and Faith Coleman and many nephews, nieces, extended family and friends. Steve was a graduate of Cal Berkeley, Master of Divinity from Golden Gate Theological Seminary, Master of Theology from Princeton Theological Seminary, Master of Education in psychology and counseling from Boston University and a Doctor of Ministry from San Francisco Theological Seminary. Steve was also a published author for several professional journals for clergy. Steve's decorations, medals, badges, citations and campaign ribbons also included a Legion of Merit, a Bronze Star and the National Defense Service Medal with one Bronze Star. His last duty assignment was as the post chaplain at Fort Ord, CA. His greatest privilege was to serve both God and country. Arrangements are being made by Allen Brothers Mortuary, 760/744/4522. Memorial service will be held at 12 noon at the MCAS Miramar Chapel and burial at Miramar National Cemetery, San Diego, CA with full military honors, at 2:00 p.m.